At a former workplace of mine, a long-running joke about malfunctioning software was, “It’s not a bug, it’s a feature.” Unfortunately, for London-based newspaper The Independent, its spokespeople have been saying this exact phrase a lot recently — and not in jest. 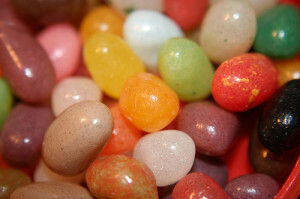 Last week, the paper published a seemingly harmless fluff piece on its website, entitled “Kate Middleton jelly bean expected to fetch £500.” All was fine and well until someone decided to spoof the article’s URL. The naughty bits weren’t edited out like they are here, however. Jack Riley, Head of Digital Audience & Content Development for The Independent Online, said, “It’s a feature, not a bug — at least until your rivals try to smear you with it.” The feature that Riley speaks of is one that allows any combination of words in the URL, as long as the article ID number — “2269573” in this case — is kept intact. The trouble is that our site helpfully resolves updated or incorrect urls to the matching story ID. It was designed as a feature and not a bug — and we are not alone in this problem. The feature has search engine benefits but from an editorial perspective it enables us to change repeatedly a headline on a moving article. The Independent‘s remedy was to change the feature ever so slightly. All URLs containing the correct article ID number in the slug will still resolve correctly, but the browser’s address bar will only display the specific URL assigned to a story by the newspaper’s staffers. King points out that The Independent‘s embarrassment more than likely prompted other news organizations to make similar adjustments. Image by gj_theWhite/Graham Campbell, used under its Creative Commons license.